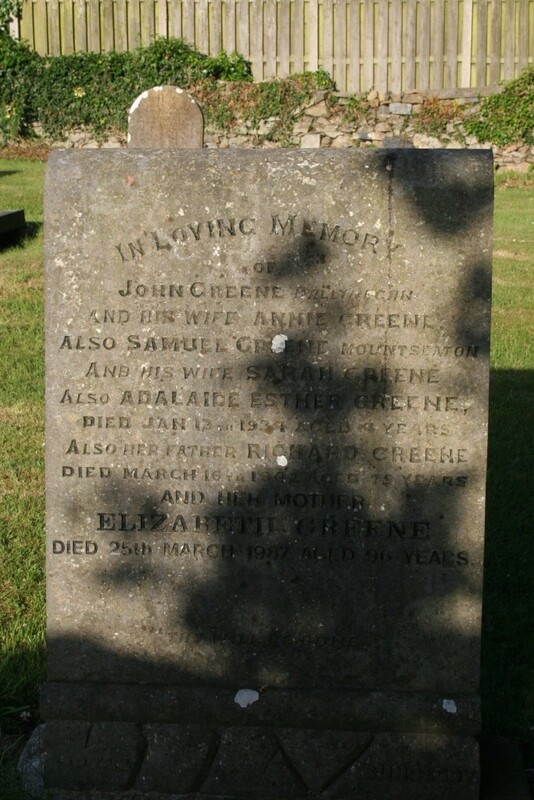 In loving memory of John Greene Ballyregan and his wife Annie Greene . 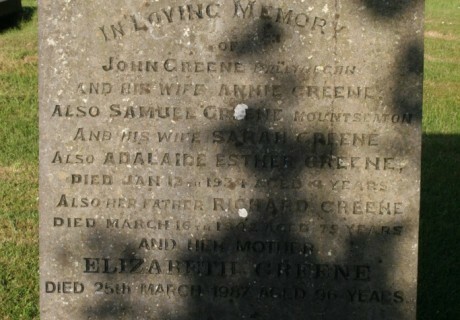 Also Samuel Greene Mountseaton and his wife Sarah Greene. Also Adalaide Esther Greene died Jan. 13th 1934 aged 4 years. Also her father Richard Greene died March 16th 1942 aged 73 years. And her mother Elizabeth Greene died 25th March 1987 aged 96 years.